I hope you all had a lovely holiday! After this weekend it's back to work, school and a normal routine, so I thought I'd share some great sites to keep you motivated to live a healthy lifestyle and get back on track after a very indulgent month. Oh She Glows : I'm may not be vegan, but Angela's recipes are seriously good! Her cookbook is easily my favourite. Simple instructions, pictures to go along with every recipe, and ingredients that won't have you running to the grocery story every other day. 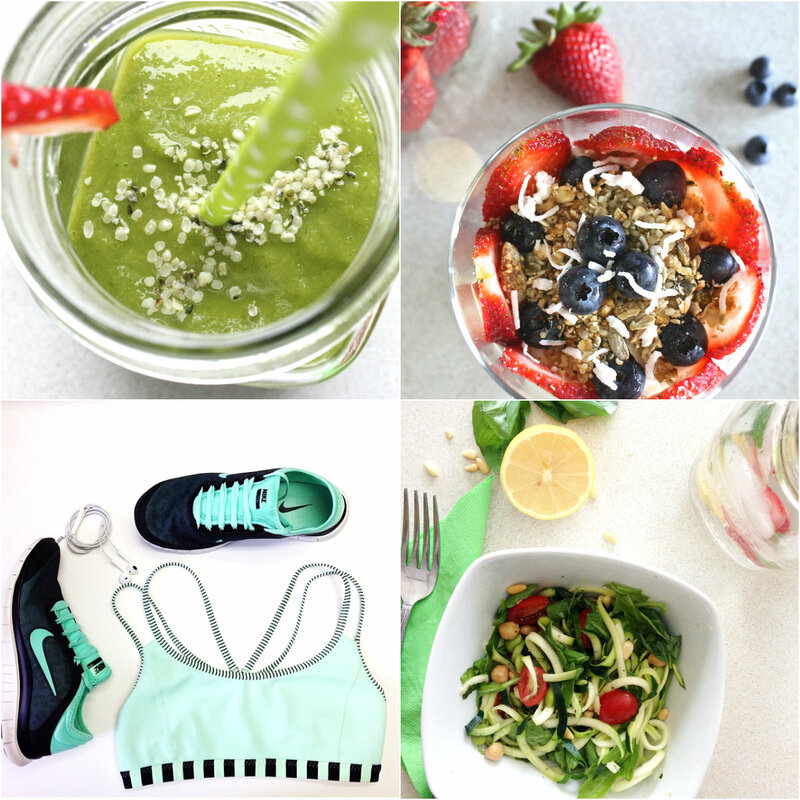 I'm obsessed with her Green Monster smoothie. Deliciously Ella : Read this post to get rid of any post-holiday guilt and feel completely motivated to be the best version of yourself this year, and always. Her breakfast and salad recipes are fab! Tone It Up : Need a little push to get yourself back to the gym? Tone It Up posts weekly workout schedules to get you moving. Right now they are doing the 100 Miles by V-Day Challenge (I am at 8 miles today!). You can get your miles in any way- by walking, running, spin class, or even swimming. Check it out and join in on the fun! Also- check out Nutritious and Delicious for some of my favourite breakfasts/post workout snacks.